Oh, how time flies when you're having fun! 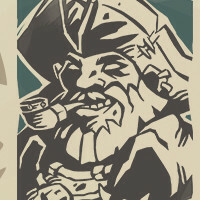 Already a month has come and gone since players were able to set sail on the Sea of Thieves, and what a month it's been. We've had all hands on deck here at Rare HQ, addressing some of the Top Feedback Points and revealing our Content Plans moving forward. And hot on the heels of all that, our Tales from the Tavern podcast is back with a bang! Our tavern regulars are joined by Studio Head Craig Duncan as they sit down to discuss what the pirate life is like now that players have their hands on Sea of Thieves. From whispers of weekly events to how we're handling player feedback and some of the best community stories, this podcast is packed with Sea of Thieves goodness! Are you still here? Well then, why not set sail for the official Sea of Thieves YouTube channel for more videos like the one above? Meanwhile, those pirates keen to listen to our podcasts on the go should make SoundCloud or iTunes their first port of call! As always, you can reach out to us via any of our social channels, our official Forums or even our shiny new verified Discord server. Until we meet again, pirates!